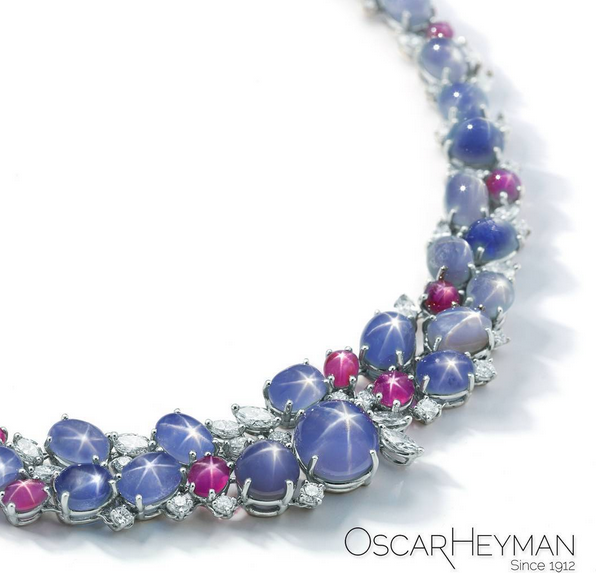 Oscar Heyman, the jeweller's jeweller, is renowned throughout the world for producing exquisite, unique fine jewellery, using only the finest coloured gemstones. 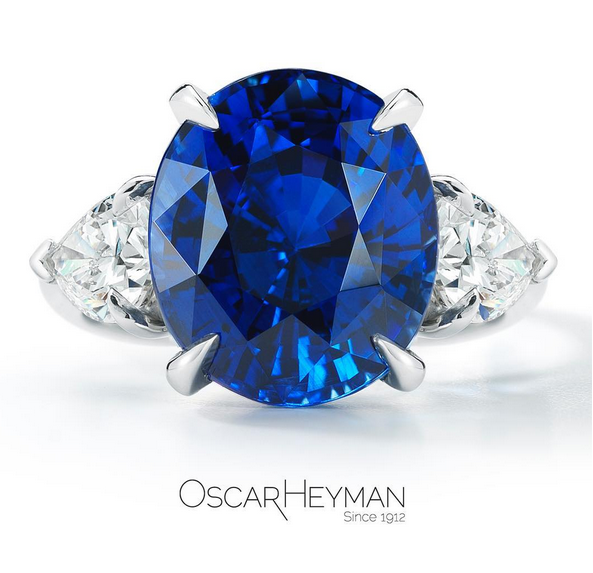 Oscar Heyman, over its 105 year existence has managed to cultivate and amass a loyal worldwide following over generations. We spoke to Tom Heyman to quiz him about how Oscar Heyman has managed to stay on top for so long. How they stay in touch with customers' desires even though they sell via retail and what advice he would give someone who is entering the jewellery industry today. Oscar Heyman is now 105 years old - described as the jewellers' jeweller, what is it about the brand that has kept it in the spotlight and so successful for so long? Our firm is founded on making the finest jewellery possible. This means using gem quality stones, fabulous designs and superior craftsmanship. For over 105 years these have been our guiding principles. This never goes out of style. Many of your pieces are created with a kelidescope of colours creating unparalleled glamour, which makes your jewellery instantly recognisable and memorable - what is it about coloured gemstones that makes you come back to them time and time again? Gorgeous coloured stones just make you smile. They are as unique and individual as those who wear them, and we design our jewellery around that concept. When you are creating a new piece of jewellery what comes first for you, the stone, the idea or the setting? Either the stone or the idea. We travel the world looking for treasure in the form of rare gemstones. Sometimes we start with the gem and get our inspiration from it. Often the natural world gives us inspiration and then we hunt for the gems to make it a reality. Our atelier will craft the metal setting to fit the stones and the design. Even though the white diamond is still king in wedding jewellery many people are opting for coloured gemstones in their wedding jewellery, do you think celebrity endorsements of coloured gemstones on the red carpet and for their own engagement rings has contributed to this or something else - perhaps consumers are just ready to wear colour once again? Consumers have always been interested in colour, but more commonly it was not until the second or third major jewellery purchase. I think that expanded exposure to coloured gemstones opens people's thoughts to how interesting and beautiful they are, so celebrity endorsements can help with this. Today’s consumer is looking for highly distinctive pieces. Everyone has a diamond. Not everyone has an alexandrite engagement ring or a fine sapphire. It is one of the ways a lady can exhibit her personal taste and stand out from the crowd. Do you follow the latest trends from the world fashion weeks to see what colours and trends are going to be big in coming seasons? And if not, what influences do you use when you are designing? We are striving to design jewellery that will be fashionable far longer than the “current trends”. While it is helpful to have our finger on the pulse of what is happening in the fashion market, our driving theme is to showcase extraordinary gems. We want to create jewellery that the grandchildren look forward to inheriting. You also sell Oscar Heyman via retailers - how do you keep that special connection between your brand and your customers? We work very closely with our retail partners. We support our stores with brand images, social media, custom design a holiday catalogue; whatever they need to keep their clients happy. How do you keep your brand value to your customers when dealing via a retailer? We work very closely with our retail partners to give the store and their clients excellent customer service and support. This often includes custom design work and collecting special gems to help the client create a personal collection of jewellery. Earlier this year the Oscar Heyman, The “Jewelers Jeweler” book was published, what impact on your business has the publishing of this book had? And has the telling of your story introduced you to new customers? The Museum of Fine Art, Boston came to us about 10 years ago, as their jewellery curator wanted to write a scholarly work on Oscar Heyman and our impact on American jewellery in the 20th century. We opened up our archives to them for two years of research. So much history has been passed down through the generations of our family, but having a full-time research team in our office uncovered stories that had been lost, such as the set of brooches that went to the moon on Apollo 16 and the fact that we manufactured for all 5 of the World’s Fair jewelry exhibitors in 1939. Whether you are a new customer or an accomplished collector, the book is filled with stories and designs that any jewelry lover will appreciate. What impact do trade shows have on your business? We travel to the various cutting centres around the world to search for the gems that we collect. We also travel to visit our retail partners in their stores. This helps us maintain a special relationship both in the loose gem world and with important retailers. The trade shows give us an additional chance to visit, although they are less important for us than they would be if we didn’t do so much traveling. 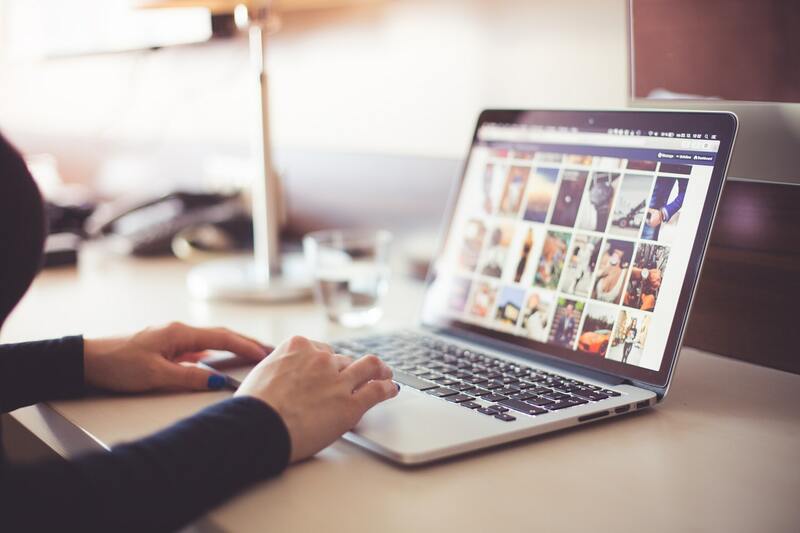 Social media across all platforms has had a huge effect on retail - has it been a help to you ? And if so in what way? 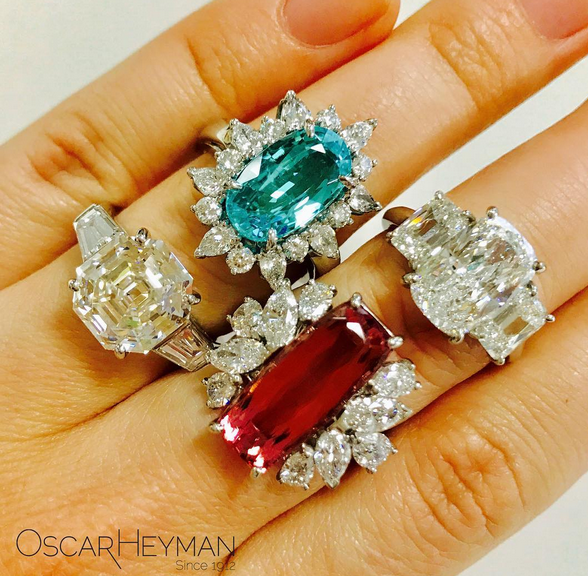 We are active on both Instagram (@oscarheyman) and Facebook (@oscarheymanjewelry). It gives us an ability to connect directly with jewellery fans around the world and also be part of a large community of gem lovers. What's next for Oscar Heyman? We are always looking for new and interesting design ideas and stones to work with. We have recently acquired a number of gem quality cats-eye moonstones that are incredibly rare and fun to work with. Next is an unknown treasure that we uncover and make into something really special. What advice would you give to anyone who is just entering the jewellery industry? Follow your passion. 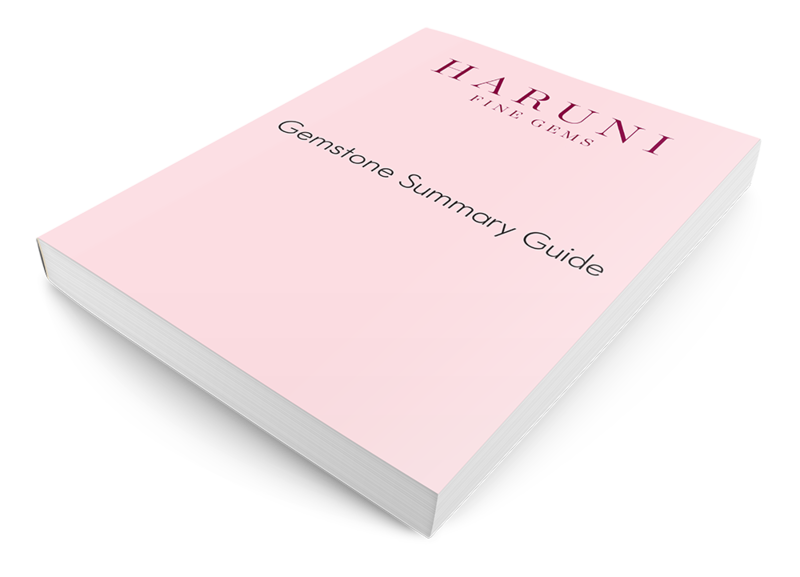 Learn all you can about gems and what makes a beautiful and finely made piece of jewellery. This industry has lots of different facets, design, manufacturing, cutting, selling, dealing; find what you love and pursue it.